Recently, a journalist asked me how we could reduce the cost of telecom networks. I think he was waiting for a long answer, full of explanations, but I just replied: Sharing! And this is happening, currently and intensely in Brazil. How nice! And, more importantly, it is the market which is promoting this change. Even better! Telecom infrastructure in Brazil has undergone a major transformation in recent years. At the beginning of this decade, regional internet providers and operators, mainly Vivo and TIM, invested in the implantation of optical routes. However, these operators and providers have increasingly made this type of investment jointly, sometimes dividing the cost of construction between the parties, or dividing the route in several sections, each of them being responsible for the implementation of a certain route and, after completion, they interchange the optical infrastructure of each of its routes. Yet, if a provider identifies a great opportunity in a route that everyone needs, and the infrastructure does not exist, it rapidly deploys and shares it, maximizing its value. Lastly, we can say that the telecom infrastructure market in the country was “uberized”, thus opening up for the sharing of its optical infrastructures. Recently, this involved even Oi, Telefônica and Embratel, traditional operators that inherited infrastructure from the state-owned companies of the Telebrás System, when privatized, were not used to practicing sharing. Nowadays, there is practically no optical infrastructure in the country that is not being shared by more than one provider or operator. They mainly rely on joint construction, sharing and exchange of infrastructure to expand their optical routes and, secondarily, isolated contracting of infrastructure, thus avoiding major new investments. As an example, Vivo and TIM invested in the implementation of OPGW cables on the Belém-Macapá-Manaus route, at the Transmission Line of Electric Power of Tucuruí (Linhão), from Isolux Group, winner of the ANEEL auction. However, since their entry into operation, they have exchanged fibers and optical channels with other operators and providers, mainly in the North region, for example, with Embratel, which owns the Manaus-Porto Velho (RD) highway route, and with Oi, holder of the route also by Manaus-Boa Vista (RR) highway. Local and regional internet providers built routes in the North, Midwest, Northeast and South regions. These same providers also exchanged the infrastructures they built with large carriers, causing an expansion of the optical network of each one, in addition to their initial regions of operation. 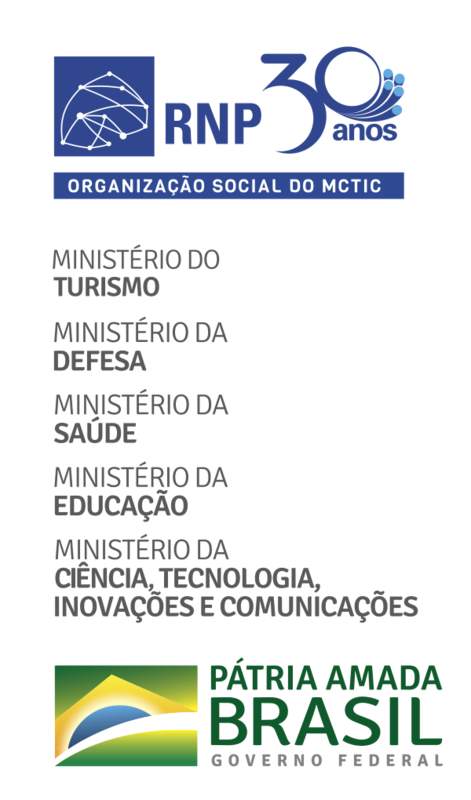 The Rede Nacional de Ensino e Pesquisa – RNP (National Education and Research Network), the Brazilian Academic Network, has also been involved in joint construction, sharing and exchange for the evolution of its network infrastructure, both in metropolitan and long-distance networks, for the construction of its backbone. New metropolitan networks are being built only in partnership with providers. At the very least, investment costs are halved, as the costs of their operation. The new generation of its backbone infrastructure, the Ipê Network, has been deployed with fiber optics at 100 Gb/s, for use by the teaching and research community in Brazil. And this deployment is a result of the sharing of fiber pair with the electric companies - Chesf, Furnas and Eletrosul, respectively in the Northeast, Southeast and South regions, and beyond these regions, the exchange of optical channels with providers in the market. No one else can afford to keep an exclusive optical infrastructure because they will not be maximizing their value. The cost of ownership is high and retaining capital in unused optical infrastructure is loss of money. The “uberization” of infrastructures has come for good, reducing the costs of investment, operation and maintenance of these networks, hence the cost of ownership. And everyone has been involved - operators, internet providers and the Brazilian academic network. And the whole society is gaining from it.